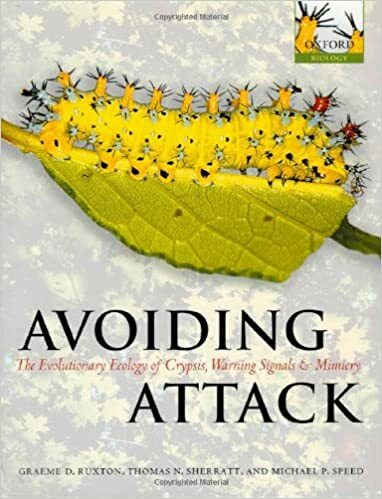 This book discusses the diversity of mechanisms by which prey avoid attack by predators and questions how such defensive mechanisms have evolved through natural selection. It considers how potential prey avoid detection, how they make themselves unprofitable to attack, how they signal their unprofitability, and how other species have exploited these signals. Using carefully selected examples drawn from a wide range of species and ecosystems, the authors present a critical analysis of the most important published works in the field. Illustrative examples of camouflage, mimicry and warning signals regularly appear in undergraduate ecology textbooks, but these subjects are rarely considered in depth. This book summarizes some of the latest research into these fascinating adaptations, developing mathematical models where appropriate and making recommendations for the most urgently needed outstanding areas of enquiry.